Hello! 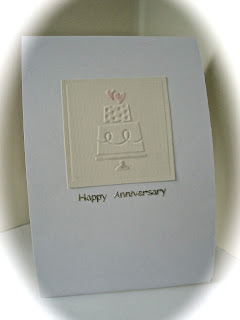 I needed a quick anniversary card for a couple at my church, so I pulled out some old Cuttlebug Embossing Folders. 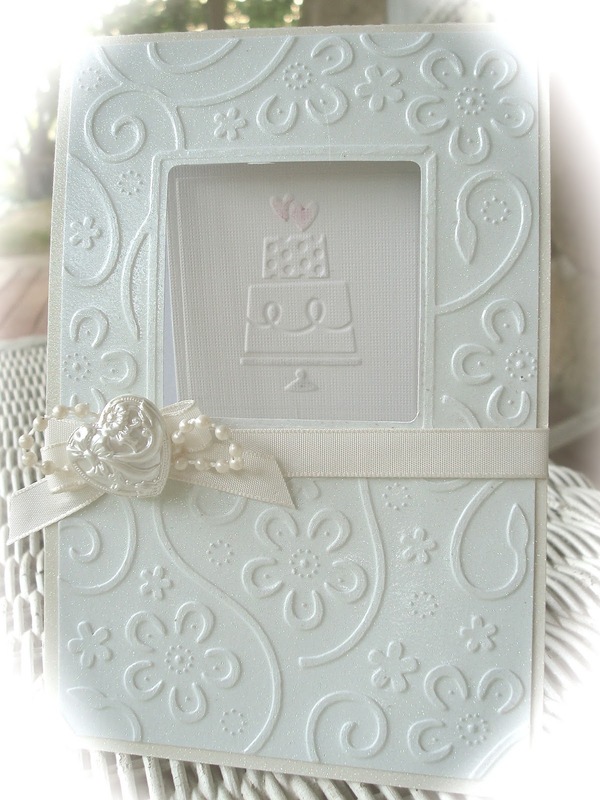 To create this card, I first cut out and embossed the floral background onto glitter paper. Then, I used a Spellbinders Nestability to cut a small square and I embossed the cake onto the square using an embossing template. Next, I glued the square onto my card base and I cut out a window from the card base using the same square. From there, I just glued my floral background onto the card base, and added ribbon, pearls, and a button for embellishment. I did add a touch of chalk to the embossed cake to highlight it. Here is the inside of the card. The sentiment is a sticker. So beautiful!! I love dry embossing so I really love this!! What a stunning Anniversary card!! I just love the embossing on the white!! Such a beautiful inside too! !